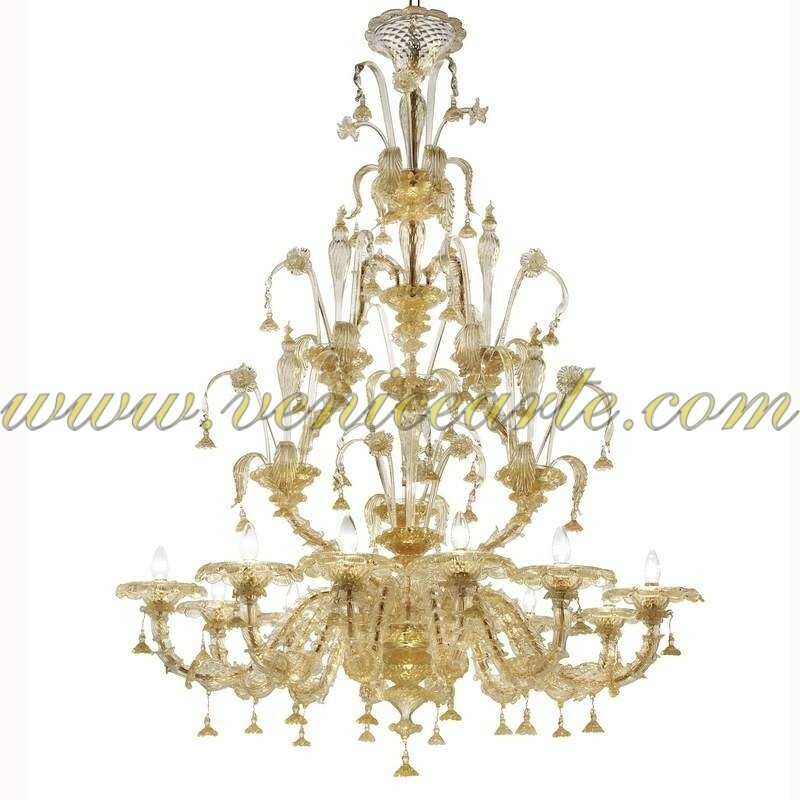 Probably, the most elegant and impressive Venetian glass chandelier made of 24k Gold, carefully hand made by extremely skillful artists. 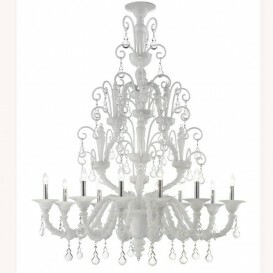 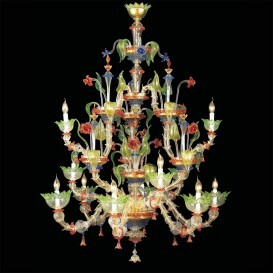 A bright and warm look, this Venetian glass chandelier is made of outstanding quality materials, genuine Venetian glass, with quite an interesting design. 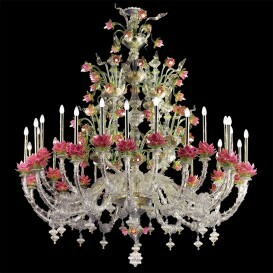 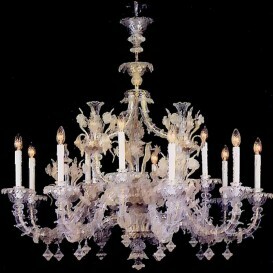 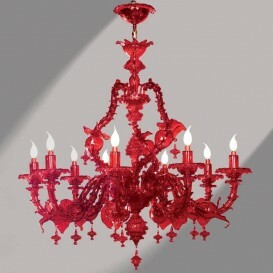 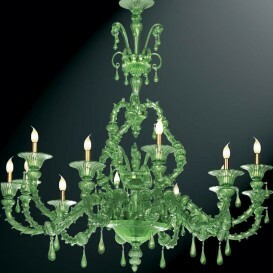 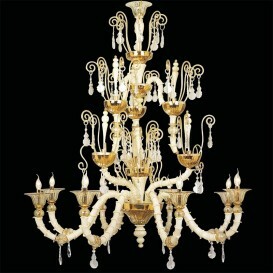 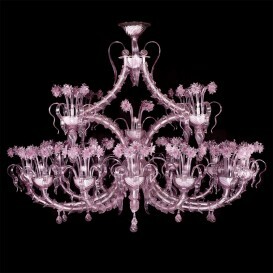 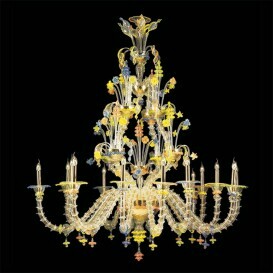 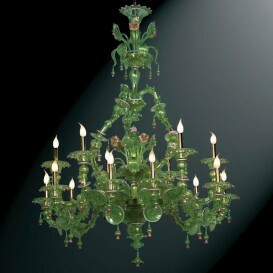 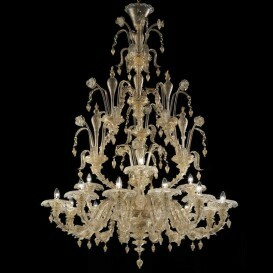 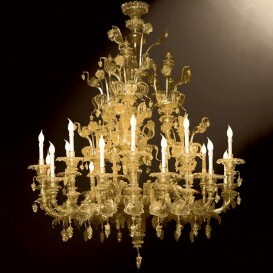 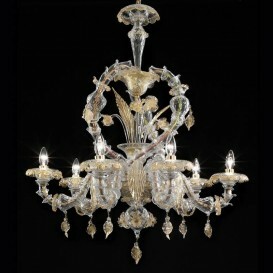 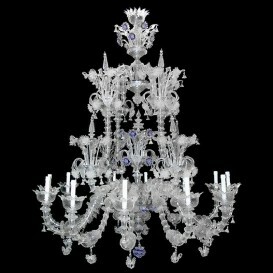 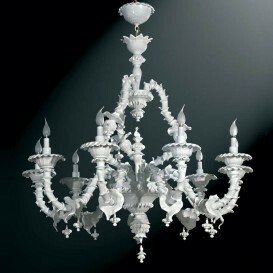 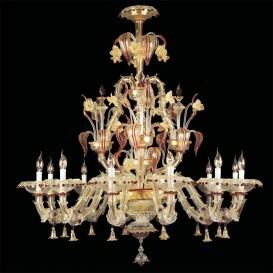 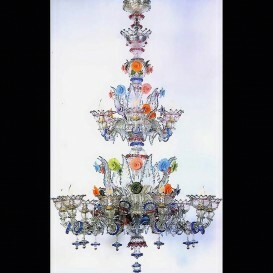 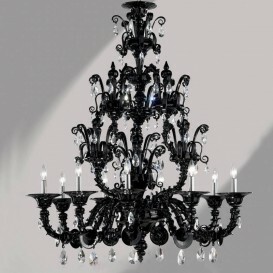 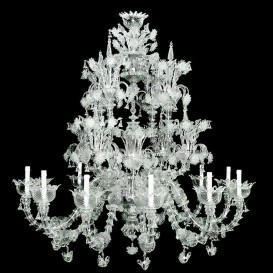 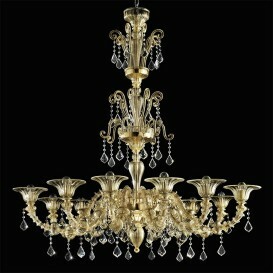 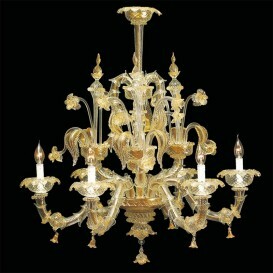 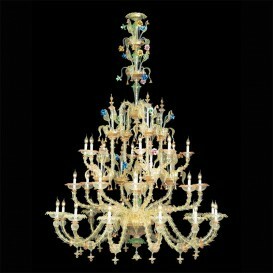 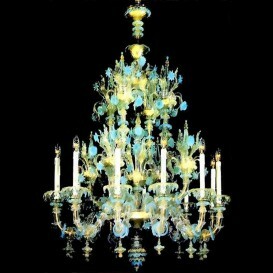 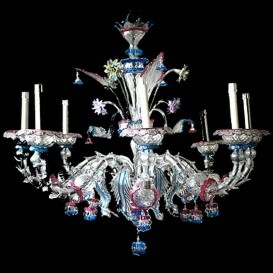 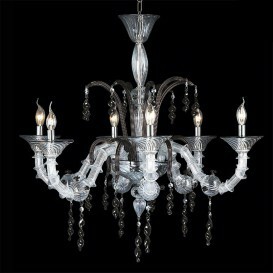 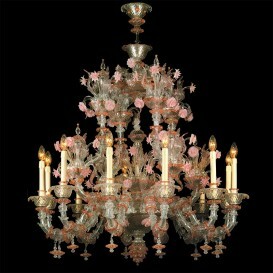 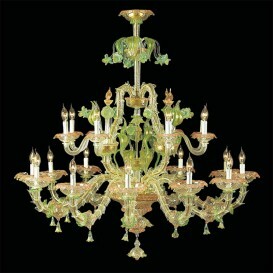 Many Venetian glass artists are looking for the perfect technique to develop the high-end quality chandeliers. 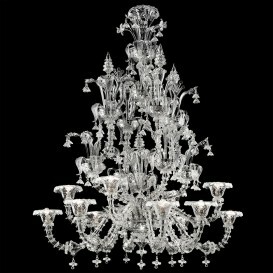 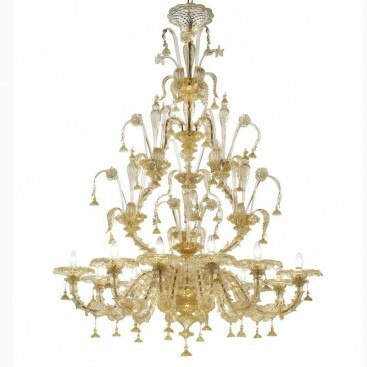 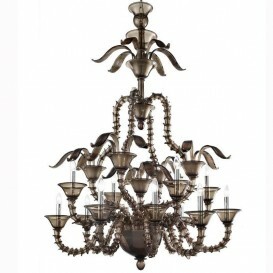 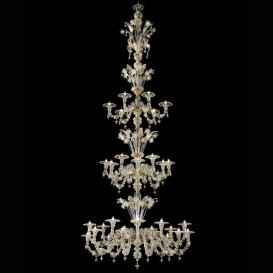 This Venetian chandelier met the standards of some of the most demanding glassmakers so you can enjoy an excellent masterwork.